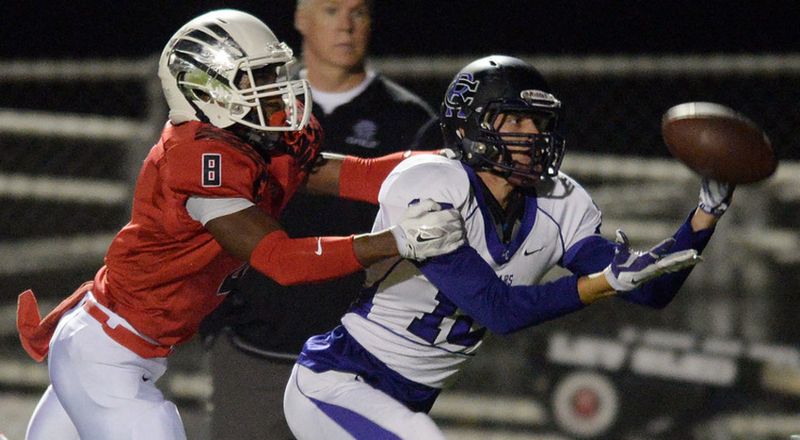 Wide receiver Bradley Davis is one of just two returning starters on offense for the Huskies. The Chino Hills football team is used to challenging for a Baseline League title. This year that goal might be a little difficult. Not only are Rancho Cucamonga and Upland loaded as usual but the Huskies (6-5, 3-2) graduated the majority of their starters on both sides of the ball. So it will be up to a completely new cast of players. Among those departing are the athletes that made up the offensive and defensive lines that have been the foundation for success the last three years. On offense the only returning starters are junior running back Water Carl III and senior wide receiver Bradley Davis. Carl rushed for 1,391 yards and nine touchdowns last year as a sophomore, earning Inland Valley Newcomer of the Year accolades. Davis caught 25 passes for 337 yards and two touchdowns. Stevens had hoped to have senior running back Sean O’Donnell back in the fold but a knee injury he sustained the first game of last season has yet to heal completely and his status is till up in the air. There are two newcomers fighting for the quarterback spot -senior James Linn, a transfer from Ayala, and junior Braydon Fawcett, a transfer from JW North. Among those looking for time at wide receiver are seniors Anthony Cole and Curtis Smith and junior Gio Isles. Returning starters on defense are linebackers Frankie Flores, Mickey Rosales and Justin Barcenas – all seniors. Other key contributors will be senior inside linebacker Jake Michael and senior nose guard Matt Fonomoiana. Coaches who talk about winning a league title a year after finishing fourth usually come off as a little TOO optimistic. New Etiwanda coach Kevin Davis is in that position this year. But unlike most, the Eagles loom as a legitimate threat. Most agree the Eagles had more talent last year than any other team besides Upland. So yes they underachieved in finishing fourth with a 4-5-1 overall record. The Baseline League will be as tough as ever. Yes there is defending champion Upland, traditional challenger Rancho Cucamonga and Chino Hills which made quite the splash last year, its first in the league. Damien and Los Osos, the bottom two finishers last year, also look much improved. Leading a large group of returning players is senior defensive back Treyjohn Butler, who has more than a dozen offers from Division I schools. His presence is one reason Davis singles out his secondary as the Eagles most solid position. Other key returners on defense are safeties Kamari Pleasant and Kendall Greer, middle linebacker Aidan Anderson, linebacker-end Kendell Jordan and defensive end Nate Neal, who will also play some tight end. Quarterback Andrew Kanatsky heads the returners on offense and stand to be the big beneficiary in the arrival of Davis as head coach. Joining Kanatsky as key returnees on offense are brothers Evan and Noah Gutierrez who will figure into the passing game, as well as senior center Kyle Bagnall and running back-wide receiver Kempson Pearce. Among the significant newcomers are wide receiver Josh Keith, a speedster who has come over from Summit, as well as junior offensive lineman Chris Bradberry (6-6, 350 pounds), a transfer from Rancho Cucamonga. Sophomore running back Lawrence Starks, who played on the freshman team, last year, is also expected to be a big contributor. The curtain comes up on the new season Aug. 28 when Etiwanda challenges Norco.